Custom software development can make traffic easier to manage, routes easier to plan, and buses safer to ride. Transportation infrastructure depends on a host of different systems along with advanced data management, which can lead to crippling errors and lost information. Custom software makes it easier to manage transportation infrastructure, and the benefits range from safety to cleaner air. Monitoring generates endless data that can easily transform into actionable data, and custom programs can work around your unique systems. Web and mobile applications can turn commuters into traffic management allies while simultaneously encouraging efficient public transportation options. Maintaining a reliable network of cameras is great for security, but effective monitoring goes beyond preventing burglaries and helping police track suspects. Cameras collect data, and analyzing that data may yield surprising results. Rather than trusting opinion polls, you have the opportunity to actually watch traffic patterns and see how and when people move around the city. If a bus stop only has one or two regular users, you may find you can cut down on a little city smog and tighten your budget by eliminating the stop. If you see people turning away from overly crowded bus stops during rush hour, you might consider adding buses to certain routes during peak traffic hours to encourage the use of public transportation. If your city uses ride share lanes, you can see exactly how many cars use them, and when the most drivers take advantage of the opportunity. Monitoring is all about maximizing efficiency by recognizing patterns. This can help other departments, of course, but it has many uses for transportation management alone. You can minimize air pollution, find the best opportunities for cutbacks, and even predict where traffic will be forced during construction. No two cities are the same. Even though most major cities in the U.S. use the block system to design their downtown business districts, most have regions that do not follow the pattern. Above ground transportation needs custom software to handle mapping, including changing features like detoured routes, construction, and temporary stops. City transportation almost always involves more than one vendor. This confuses the basic software, and without custom software, it’s essentially impossible to develop intelligent transportation management solutions. Legacy systems also need a place in your software, and few new programs are prepared to handle a variety of older programs. In order to continue developing new solutions without compromising established systems, you need custom software. While transportation infrastructure manages traffic flow patterns, available routes, and a variety of options, each commuter ultimately decides his or her own course. It makes sense, then, to allocate some resources to educating these commuters. While you can try to influence bus and individual vehicle ratios, you can’t make the decision for the citizens of your city. By giving these citizens real-time facts, however, you can make sure they help rather than hinder your efforts. Custom software development extends into the world of apps and online portals. Interactive maps, real-time updates, and warnings about recent accidents or congested thoroughfares can help minimize the impact these events have on traffic as a whole. Plenty of cities use digital screens to inform drivers of delays, wrecks, and safety hazards, but drivers rarely have the chance to really change their course once they see those signs. Giving drivers the power to see what the traffic is like before they leave home is paramount. The same technology can go into increasing the number of regular bus fares. Retailers and restaurants have already demonstrated the power of the app as a sales aid. Even a small reward for being a regular passenger can convince more people to take the bus, subway, or a streetcar during their daily commute. Apps make it easy to launch campaigns for tourists, too. Tourists look for easily-accessible public transportation, and they are more likely to stay longer in cities with simple transportation systems. Nothing darkens a tourist’s mood faster than a traffic jam or a convoluted subway schedule. An app can clarify even a complicated system by using basic to and from searches rather than, or in addition to, regular time tables. In the end, this data comes back to you, making it even easier to establish patterns and look for areas to improve. Custom software development is a surprising but incredible effective solution for transportation infrastructure. It can help you manage your assets more effectively while gathering and using more data. 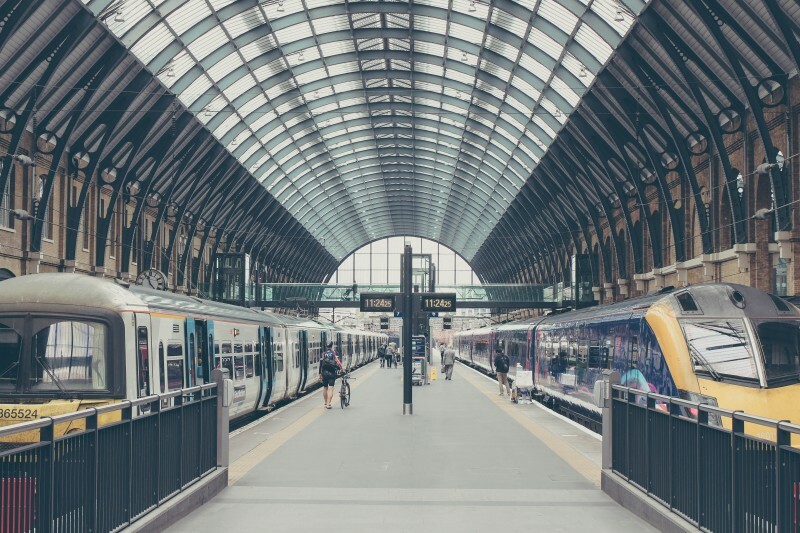 The innate diversity of custom software also enables clients to create exactly what they need, regardless of whether it’s a monitoring tool for employees or an app for commuters. By building an intelligent transportation management system, you may even be able to cut back on dangerous smog and fatal collisions. The right custom software can help essentially any problem in transportation infrastructure.